It features natural marble in creamy white with veining in shades of gray and taupe. Calacatta Cressa Subway Tile features natural marble in creamy white with veining in shades of gray and taupe. 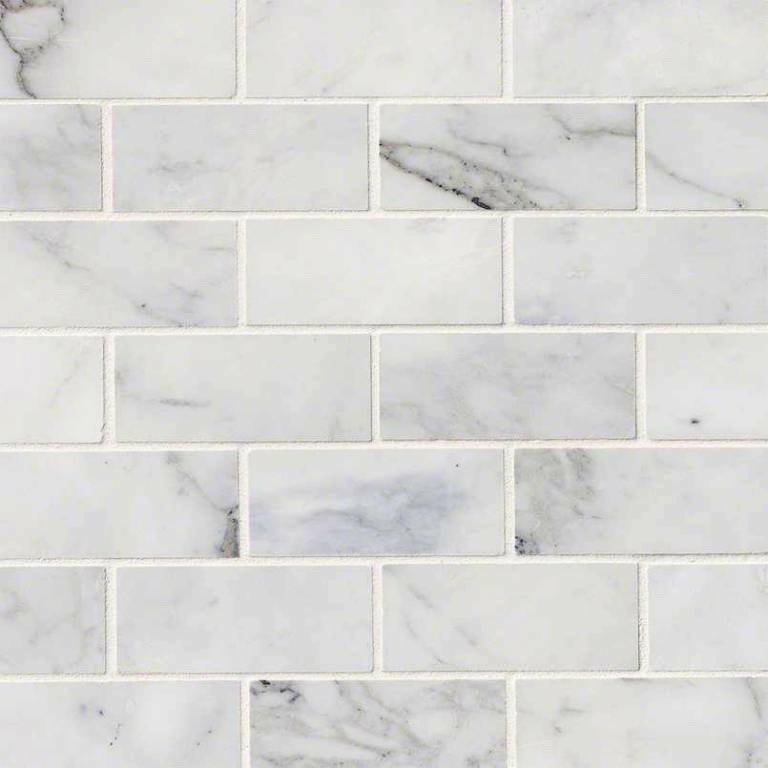 The crisp white tile an elegant choice for backsplash tile, accent walls, or fireplace surrounds. This subway tile is even durable enough for floors in residential properties, in areas with light foot traffic.